NORCAL Mutual Insurance Company (NORCAL) and FD Insurance (FD), the largest domiciled medical malpractice provider for physicians and surgeons in Florida, today announced the signing of a definitive agreement for NORCAL to acquire FD Insurance. This acquisition expands NORCAL’s national footprint and establishes Jacksonville, Florida as its Southeast hub. NORCAL Mutual Insurance Company, one of the largest medical professional liability insurance companies in the nation, has expanded its coverage area to include Kentucky. As part of the company’s national expansion plan, NORCAL Mutual is offering a new enhanced policy and transitioning its policyholders from subsidiary Medicus Insurance Company to the parent company. NORCAL Mutual Insurance Company has been selected as the 2015 Governing Board Diversity Champion Award recipient by the California Department of Insurance Diversity Task Force. 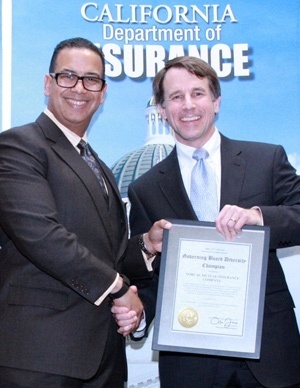 This award, which recognized NORCAL Mutual’s successful and innovative approaches to diversifying its governing board, was presented during the 4th Annual Insurance Diversity Summit by Insurance Commissioner Dave Jones. 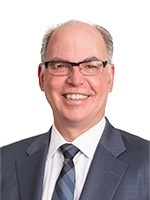 Steven Packer, MD, president and CEO of Community Hospital Foundation and director of NORCAL Mutual Insurance Company and Medicus Insurance Company, has been named to the Becker’s Hospital Review “100 Physician Leaders of Hospitals and Health Systems” for 2015. Physician leaders are chosen by the editorial board of the Becker’s Hospital Review based on their healthcare experience, accolades and commitment to quality care.